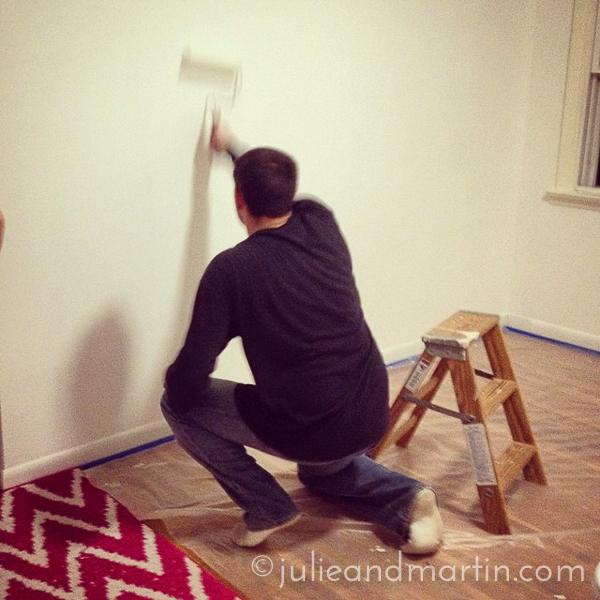 Martin painting our house in Northern Virginia just a few weeks ago. I woke up this morning hearing chatter about Pepco power outages in Maryland, INOVA health care, and DC’s best mix of today’s best hits. You know that moment when Forest Gump learns his son is super smart, and not slow like he is? 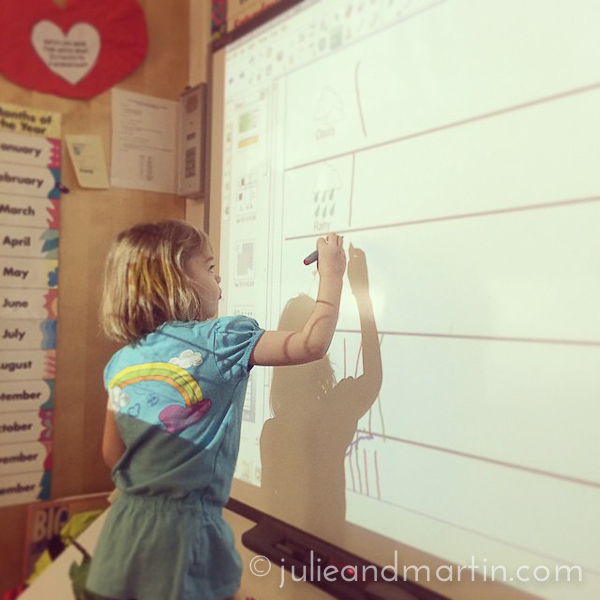 Our daughter just forecasted and documented the weather for us using a “smart board” in her classroom. And that’s all I have to say about that. They grow up too fast! I still see all three of my babies as babies. 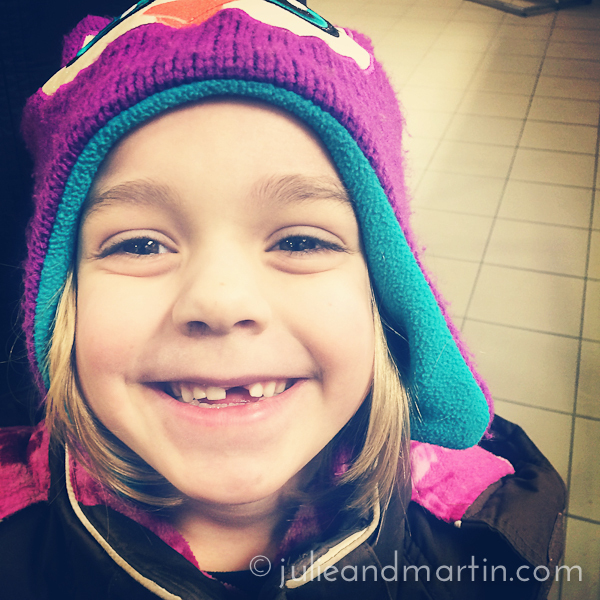 It isn’t until I see photos from just a year ago (or more) that it dawns on me how fast they are growing. In other news, Sigmund Lindauer from Stuttgart-Bad Cannstatt developed the first modern bra for mass production in 1912, and patented it in 1913. I know this random fact now because the local German radio deejay talked about “Stuttgart Firsts” yesterday evening, and it dawned on me during my commute home that I understood what he was saying. In other news, my new Boss and my old Boss are both testifying on Capitol Hill tomorrow. Both on the House side, just down the hall from each other. Thank God I don’t have embarrassing office party stories for them to swap, am I right?!!?! 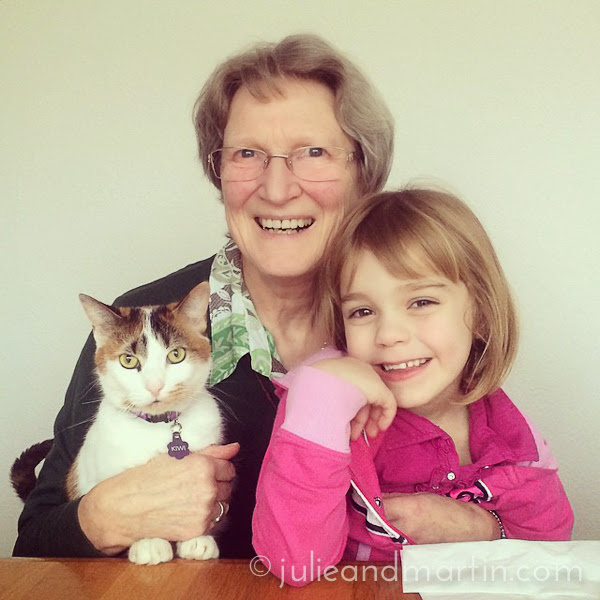 Tante Mali visited us over the weekend. We last saw her in person in July 2005 during our last visit to Germany before we moved back to the United States. Miss C was just a few weeks shy of her second birthday. We’ve been in touch since then, of course: emails, letters, phone calls, and web chats. But we never had an opportunity to reunite until this past weekend when she drove almost two hours to spend the day with us. Ahhh! Got a lot of things done around the house today. Put up the finishing touches in the kids’ bedrooms, hung up curtains, artwork, sorted through the kids’ clothes and organized the closets. AND sat down for a few hours with the whole family for a Tom Hanks movie marathon. AND web-chatted with my Mom and sister Jinger, too. 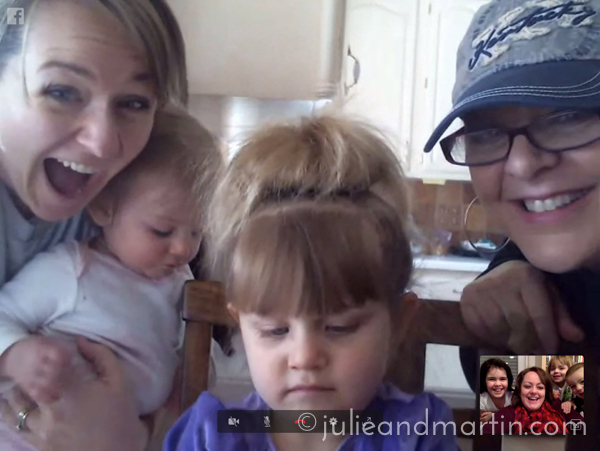 My nieces were totally not impressed, but my sister could NOT contain her excitement at being able to chat with us!! I’m so grateful that we have this technology now, that we’re able to sing and play with Playdoh (from afar) with our family! Funny story from yesterday: I found our American hair clippers and announced it was time for Martin to get a trim. So, we got things set up, I plugged in the clippers into the transformer, turned ’em on, and they literally flew out of my hands, taking a chunk of Martin’s hair with ’em. For a few hilarious moments, it seemed like he would have to shave off everything, but fortunately, I was able to get a hold of the turbo-clippers and trim his hair at the lowest setting possible. I think he was more shocked than mad, but only briefly. I was laughing so hard, he couldn’t help, but laugh, too. Added to the shopping list: German hair clippers. Today was Rosenmontag, which is German for “Rose Monday.” Rosenmontag is the highlight of Germany’s Fasching, also known as Karnival, celebration. With a name like that, I imagined a beautiful, floral event similar to America’s annual Rose Parade, but I could not have been more wrong. In this case, a rose by any other name is not just as sweet. Here in Germany, Rosenmontag is celebrated with ugly witches, trolls, and devils, all smelling of burning branches, beer, spiced wine, and smokey wood. But definitely not floral.We ventured out and attended the Rosenmontag parade in a local village, our first excursion since moving into our house. After nearly two weeks of nonstop unpacking (since our household goods arrived early – yea! 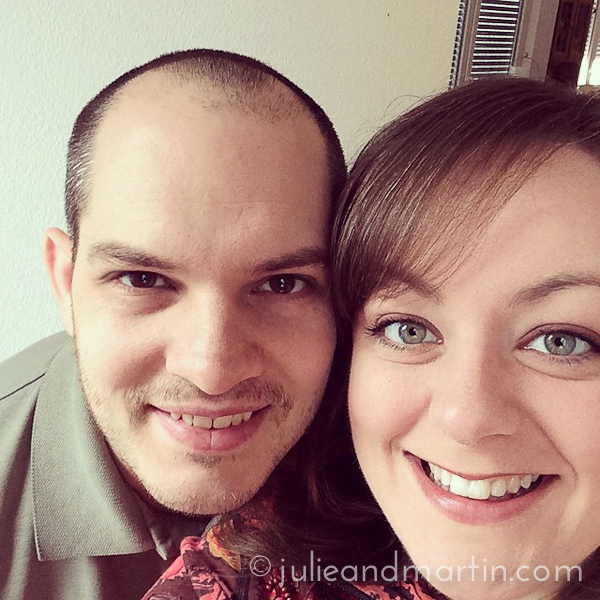 ), Martin and I were ready to ditch the clutter and cardboard boxes, and do something fun. 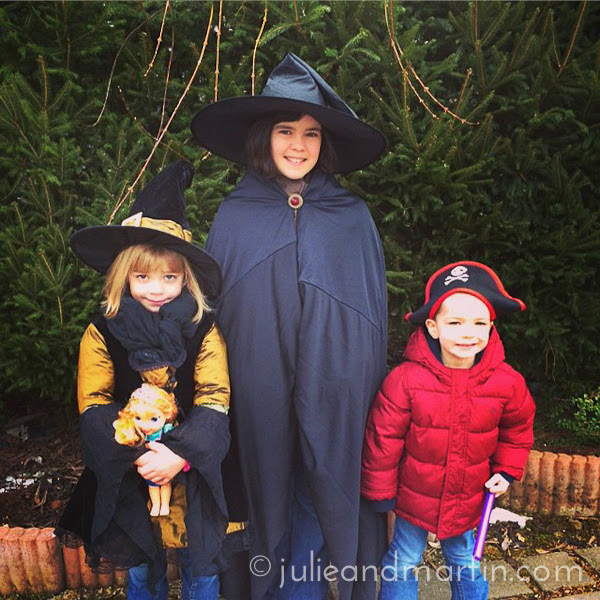 Fortunately, it took no time at all to dig up our Halloween costumes, and the kids needed little convincing to dress up again, too, even though they really didn’t understand why we were dressing up in February. 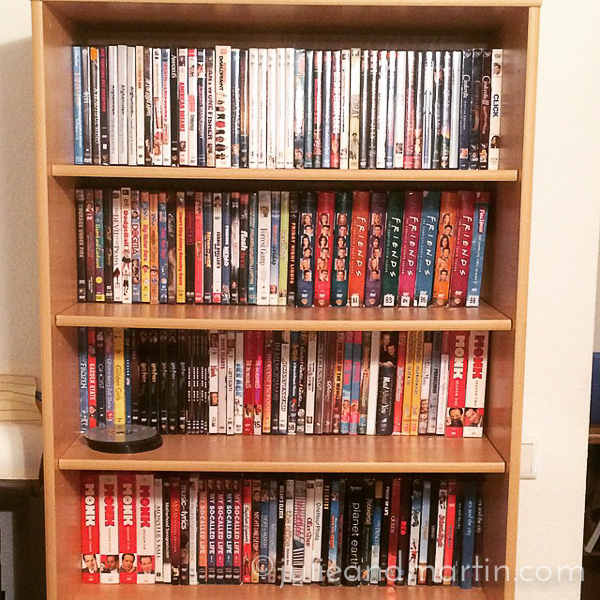 We alphabetized our DVDs. With only about four English-speaking channels that only occasionally show decent content over here, I’m glad we held onto these! We bought those the last time we lived in Europe! And probably haven’t watched them since, but will surely be watching them again. It would have been alphabetized within alphabetized genre, but I didn’t want to get carried away. We’re not Blockbuster.